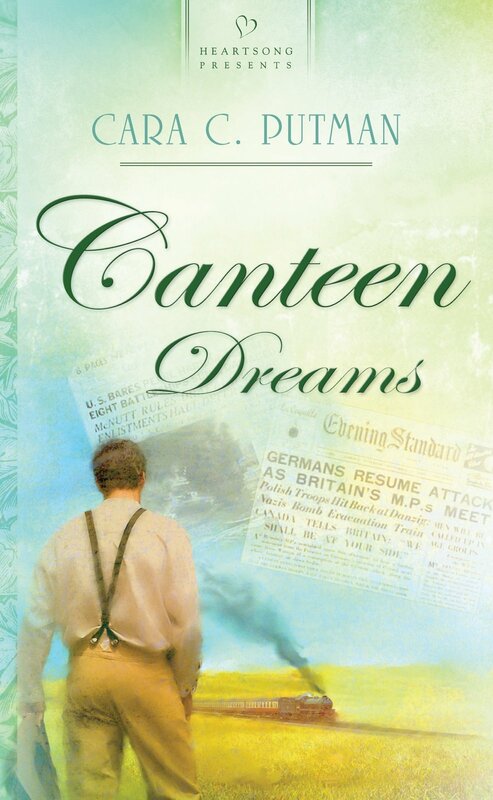 Sunday morning I found the very first review of Canteen Dreams. If you've seen others, please let me know! Michelle Sutton, author of this review, reads tons of books and writes honest reviews. That's why I am so pleased that she like Canteen Dreams. I know if she hadn't, she would have let me know! In the aftermath of Pearl Harbor, Audrey Stone wants to help in the war effort. But what's a young schoolteacher from Nebraska to do? When her community starts a canteen at the train station, Audrey finds her place. Willard Johnson worries about his brother who joined the navy to get off the ranch and see the world. Will his budding relationship with Audrey survive in the pressures of war? Can two such determined people find their place in the war and with each other? This historical romance rocked! I love it when true events are used for novels because I feel like I learn something at the same time. This story revealed several things to me that I hadn't thought about before. Like how some men weren't drafted because of their importance to the United States food supply and industries that helped the war effort. It was refreshing to also read about the town of North Platte's support of the "boys" going to war no matter where they came from. Since Vietnam, our troops have been given such mixed messages about their value. It would be awesome if they were supported like that again. I also enjoyed the romance and the romantic tension. Audrey had such conflicted feelings, as did Willard, and it was enjoyable to go through the ups and downs with them. The way Audrey dealt with her issues was to work all the time so she didn't have to confront them. Isn't that typical of many of us? The way Willard and Audrey resolved their lack of faith came out naturally as well, especially when it came to giving up their own plans and embracing God's plan for them. Very encouraging to read. The setting and voice were also perfectly done. I was there! Folks, this is a great debut novel. I can't wait to read the rest of them. And check back tomorrow for pictures from my very first book-signing. Teaser: the store sold out of books! All 79! They started with 100 two weeks ago. God is so good! Generation NeXt Marriage is here!